Earlier this month, Eye on the Arctic brought you Part 1 of a video documentary about how climate change was making the muskoxen sick in Canada’s High Arctic and the effect it is having on Inuit communities there. Part 1: Is climate change making the muskoxen sick on Victoria Island? Today, we bring you Part 2. Arctic Peoples are more than just victims of climate change. 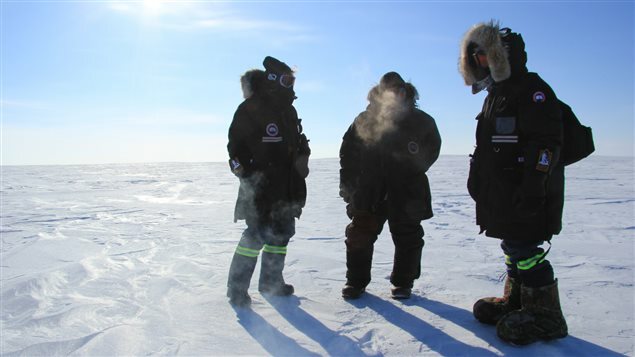 In many parts of the circumpolar world, they’re collaborating with scientists to unravel the unprecedented environmental transformation of the North. But these relationships aren’t always easy. In this Eye on the Arctic documentary report from Arctic Canada, we learn about some of the problems that still exist and profile a collaboration that this community says is an example of what happens when things go right.